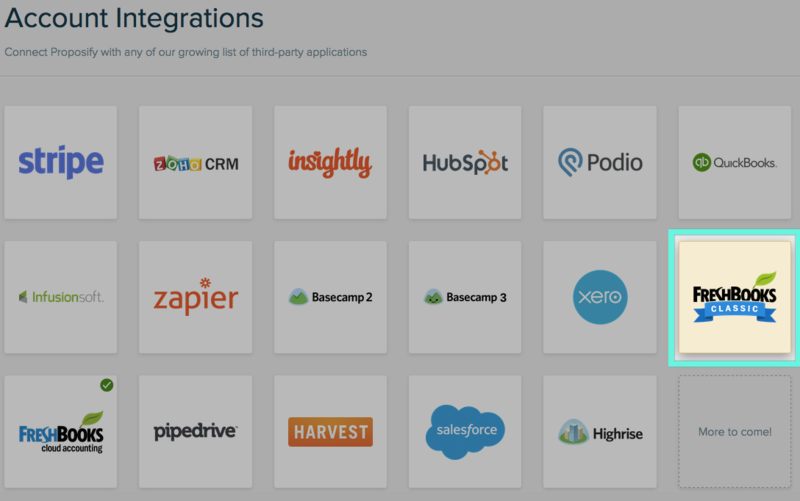 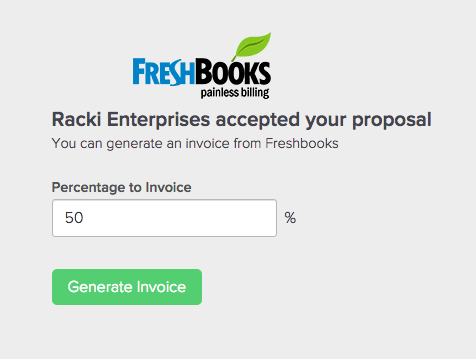 If you have a Freshbooks account, you can connect it with your Proposify account to create invoices after your proposals has been won. 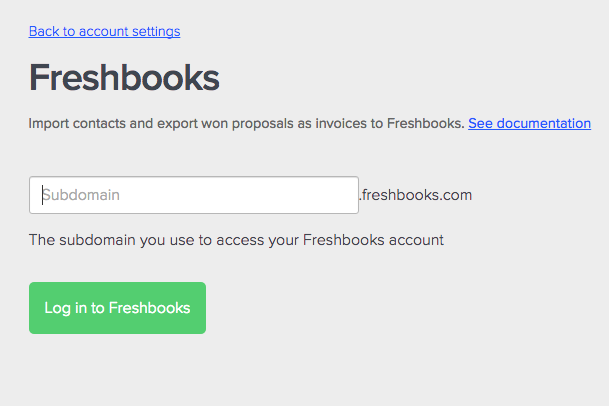 To get started, go to your integration settings, and Select Freshbooks Classic from the list. 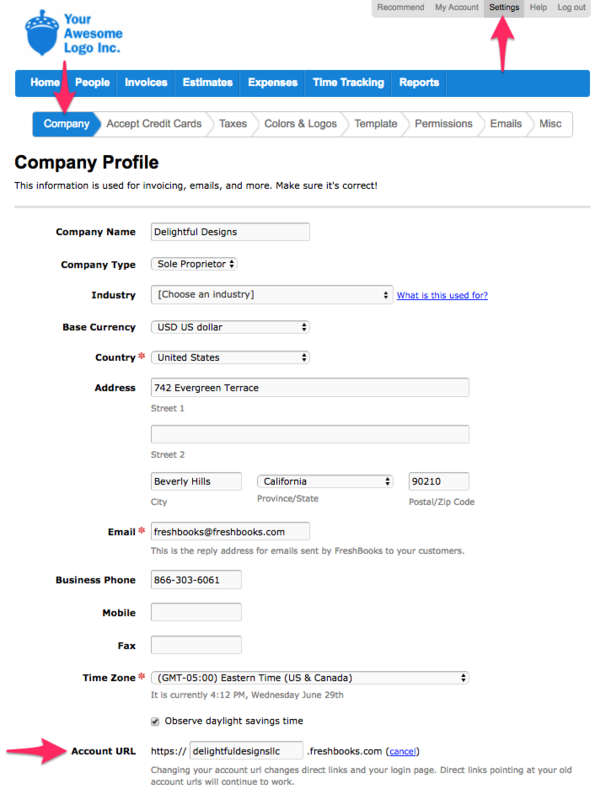 You'll need the subdomain for your account. 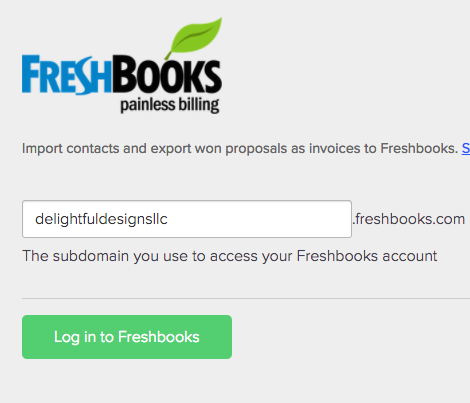 In a new tab, go to your Freshbooks account Company Settings, copy the subdomain from the Account URL and paste it into the input box in Proposify (eg: mycompany).